Working - when the supply comes in your MCD pipe line , AUTO CONTROLER will start the pump automatically & fill the tank . The pump will continue to work till either your tank is filled or supply of MCD water ends .The pump would not run dry. Working - The pump (open well submersible) will start as soon as your overhead tank get empty up to 50 % or set any level according to you. The pump will shut off when water reaches to overflow line. The pump will not start if your underground tank is empty. The booster type AUTO CONTROLLER actually work on level of water in the underground tank and overhead tank. 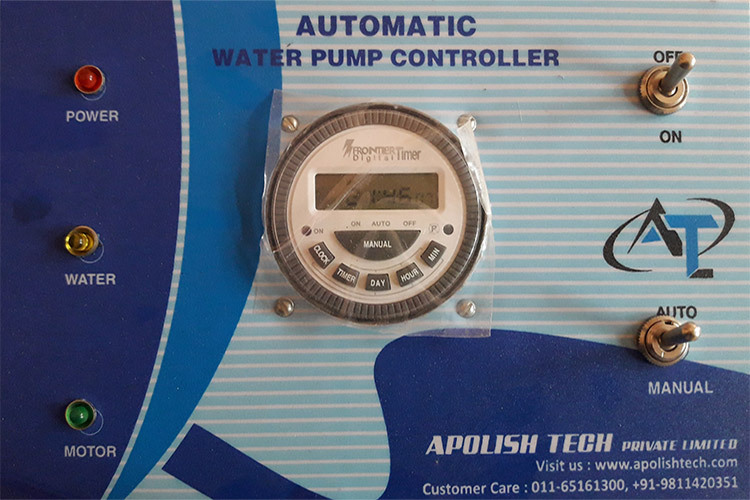 3) Automatic water pump controller for SUBMERSIBLE TO OVERHED TANK. Working - Auto system basically work on the level of water in the overhead tank. When the water level drops up to 50% in the overhead tank the pump will start and fill the tank to overflow line then get shut off. 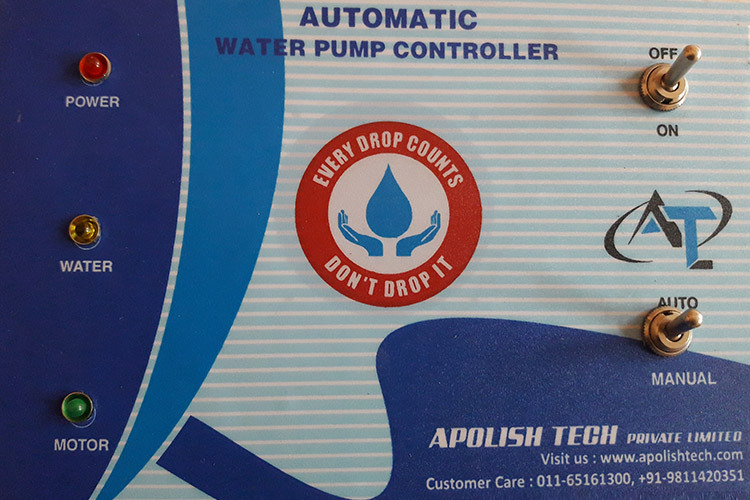 Apolish Water Pump Controller is designed for the automation of your water system. For online pumping system generally for corporation water Supply. From underground water tank to overhead water tank. Completely Automatic / Semi Automatic. No need for motor ON/OFF. Prevents dry running of motor. No need to spend sleepless night. Automatic pump controller for Online motor pump(from MCD line to underground tank).